The arrival of the stranger compels us to take a standpoint, leads to our self-determination in the face of what is foreign (indifference is but a momentary deferral of conceals a decision), it leads to our taking sides (for or against strangers, refugees, immigrants). As the result of an illegitimate "demand of compliance", of a questioning that threatens the deepest foundations of order (or at least its illusions), of alienation that shatters identity, an interpellation must become a political question because it concerns everyone before whom the stranger shall appear. Although the stranger is not the subject of politics (he does not belong to the community of our familiars), he immediately becomes its object. Therefore when he enters art he becomes, necessarily, in a way, an object that ought to be called the politics of art. 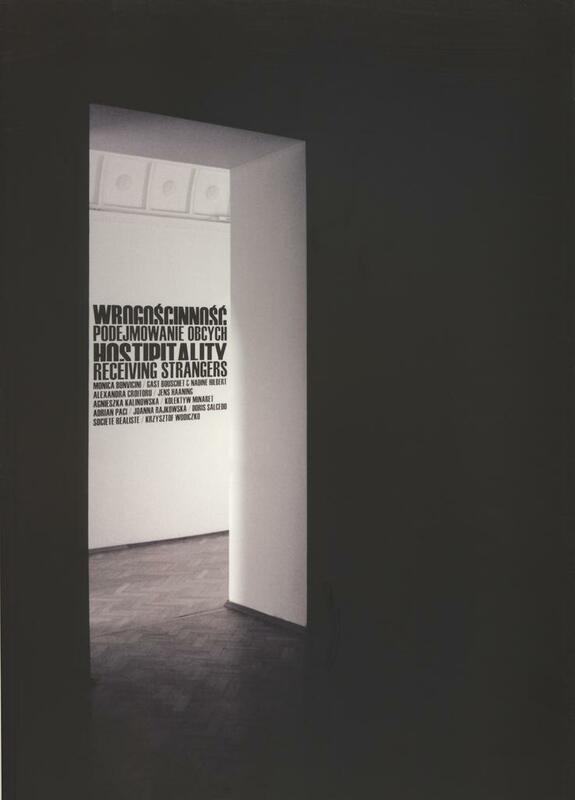 Publication accompanying the exhibition "Hostipitality. Receiving strangers"